The role of a CIO has evolved dramatically over the past few decades from be­ing purely technical operations to running key functions that act as a key nerve center of the organiza­tion and help fuel business growth. 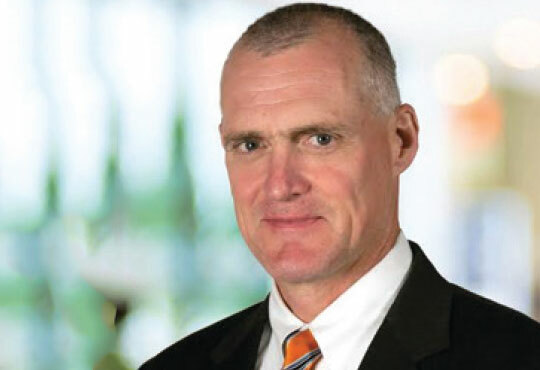 As CIO of The Depository Trust & Clear­ing Corporation (DTCC), an infrastruc­ture provider to the global financial services industry, me focus on driving strategic initiatives that foster innovation while effectively managing risk and secu­rity. Regardless of an organization’s focus or size, a firm’s IT strategy must align with and be supportive of business goals to ensure operational excellence as well as return on investment. Being a successful CIO is about delivering operational excellence - making sure the “factory floor” runs flawless­ly every day and meeting all of the security and regulatory requirements of the evolving world. Today, new technologies are transforming industries, par­ticularly in finance where IT plays an essential role in the success of organizations. Technology is changing at a rapid pace, creating opportunities and challenges, so it’s not sur­prising that those who work outside of the function some­times find it difficult to fully understand its complexity. Firms must break out of a siloed approach and ensure their C-suite and senior leaders has comprehensive knowledge of IT initiatives. This understanding enables the CIO to focus on a strategy that is agile and supports an ever-evolv­ing industry, while embracing innovation and managing risk. 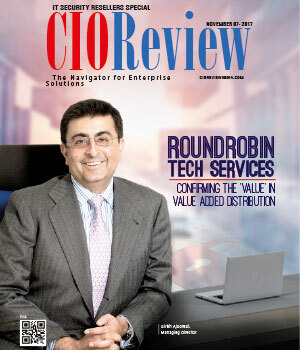 So where are CIOs and their teams focusing from a tech­nology perspective? With digital disruption on the rise and the influx of new technologies, it’s no wonder that many companies are uncertain about where to invest scarce resources. First, firms should ensure that they are explor­ing cloud computing, which has finally reached a tipping point in financial services as scalability, resiliency and cost savings has improved. An­other growing technological trend that is im­pacting the industry is automation in the form of machine learning and robotics. This is an area where firms can realize significant cost savings and mitigate risk as well as potentially create new business opportunities. Of course, the most discussed and hyped technol­ogy in recent years has been distributed ledger technology (DLT), or blockchain. At DTCC, we believe that DLT presents a once-in-a-generation opportunity to re-imagine and modernize market infrastructures to address certain targeted operational challenges. Within our firm, we has focused on manual asset classes, providing us with the op­portunity to learn the advantages and limitations of the technology. Once a firm determines the right mix of technology and process to support business objectives, it’s important that they look outside their organization to industry consor­tiums to foster collaboration and leverage diverse back­grounds and expertise. Collaborative industry efforts like the open source Linux Foundation Hyperledger project, where subject matter experts are determining how to best capitalize on DLT, are forging standards and shaping best practices. DTCC is a member of this project and we are very supportive of open source efforts. These types of collabo­rative efforts are critical to adoption, especially with any new technology. In the months and years ahead, CIOs must continue to assess how we can optimize and further improve the value of the IT infrastructure across the industry. Many CIOs that me’ve spoken to share common objectives, and the re­cent movement towards disruptive technology coupled with a collaborative approach will further enhance our ability to harness innovation to its fullest potential while driving continued improvements across organizations and industries.